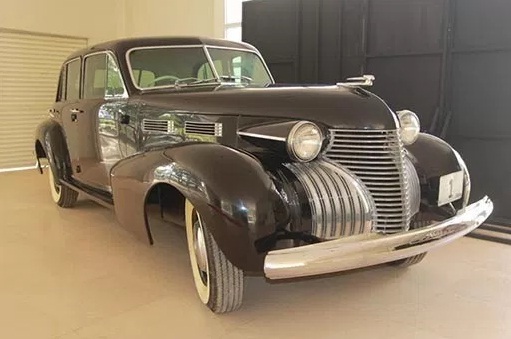 ROXAS City – The Panublion Museum now houses the late Manuel Acuña Roxas’ state car, a 1940 Fleetwood Cadillac 75 limousine. Imported for Roxas’ inauguration on July 4, 1946, the car has a wheelbase of 3.58, powered by a 5.6 liter V8 producing 135 horsepower. Roxas used it for 21 months, from his inauguration until his death on April 15, 1948, when he had a heart attack while giving a speech at Clark Airbase in Pampanga. On April 20 to 23, in line with the Capiztahan and in commemoration of Roxas’ 69th death anniversary, United Capizeños Foundation, Inc. will open an exhibit about the Roxas family in Capiz from the late 1800s until present time. The limousine, which was restored in 2014, will be featured in the exhibit. The state car was taken into custody by the National Historical Institute — now National Historical Commission of the Philippines (NHCP) — before it was transferred to the care of the President Manuel Acuña Roxas Foundation eight years ago. Frank Koh and Alex Claudio of Route 66 restored the limousine. The cosmetic restoration cost an estimated P1.8 million. Of the amount, around P100,000 came from the NHCP while the rest was provided by the foundation. Judy Araneta-Roxas, daughter-in-law of the former president through whose efforts the car was taken to Capiz, believes Capisnons deserve to have a glimpse and possession of the historic vintage state vehicle.